The cuisine of South Africa sometimes commonly known as “rainbow cuisine” is famous for its variety of ingredients, spices and colors. It is a well known fact that the food of a country not only depicts its culture and traditions but also gives a glimpse of the country’s history. And in no other case is this more true then in case of the South African cuisine which has a vast variety of multicultural influences depicting the influence of foreign forces in the country over the history. Generally, South African cuisine is categorized into two distinct classes based on the time of history when they emerged. These classes are commonly called Indigenous Cookery and settler Cookery. This style of cooking was practiced by the local ‘blacks’ of Africa before the time of ‘white’ invaders. This form of cuisine generally involves a wide range of foods that includes nuts, fruits, bulbs, leaves; basically all those ingredients that can be easily gathered from wild plants or by hunting. And if we look at the dynamics of the region, before colonization, then we will see that this very much ‘raw’ form of cookery actually does make sense. There is no as such use of spices or other extra ingredients involved in this style of cooking and generally the fruits or the vegetables are boiled and served. This form of cuisine only prevailed up till the time where there was no proper urbanization in South Africa. But as soon as the ‘foreign forces’ invaded these lands the indigenous cookery started witnessing its decline. This form of cuisine is pretty much associated with modernization and is prevalent in South Africa up till today. In all fairness, settler cookery is not just one style of cooking rather it involves an amalgam of a different forms of cooking styles and foods. Now, the reason I’m telling you all this is that I want you to have a little bit of know how about the origins of delicious South African dishes that we see today. So, the next time you are in South Africa on a holiday you should be able to identify the vast variety of foods that the country has to offer. 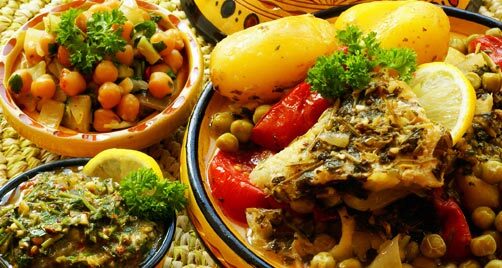 And trust me, only one thing parallels the scenic beauty of South Africa and that is South African cuisine. From crocodile Sirloins to spaghetti bolognaise, South African cuisine has it all. There is something for every one. So, if you are of adventurous type and want to try something very outrageous then you can try the Fried caterpillars or the sheep heads. For not-quite so brave types, South African cuisine offers indigenous delicacies like bobotie or boerewors. Then there are dishes like sushi and hamburgers for those who like to play it safe when it comes to food. South Africa is very much like a multicultural-food hub of the world because here you can find dishes of almost every other country of the world. So, if you are a food lover and want to try something delicious, outrageous and unique then with out a shadow of a doubt South Africa should be your next holiday destination. Exchanging currency in South Africa is quite an easy task. All you will need is your passport as identification and you will be able to acquire 9.16 South African ZARs (Rand) for each US Dollar you exchange, you can check up to date exchange rates via Travelex’s website. You will also be able to exchange bank notes for traveler’s checks. There are a bunch of Forex outlets situated in the different provinces of South Africa.